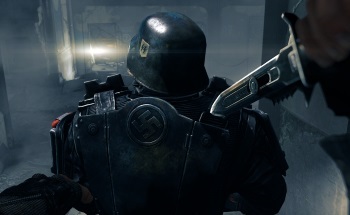 How Massive is Wolfenstein: The New Order? A couple of years ago I made a video talking about megatextures, which is the technology behind Rage. At the time I noted that Rage was a little over 20 gigabytes in size, mostly due to the unusual way megatextures work. That's big. For comparison, it's more than double the size of contemporaries like Dishonored, Sleeping Dogs, Far Cry 3, Spec Ops: The Line, Saints Row The Third, and BulletStorm. It's not the largest game or anything, but as more of the market moves to digital distribution, having a game be double the norm is notable. So imagine my surprise when I went to download the new Wolfenstein game through Steam and found it was a whopping 40GB, double the size of Rage. I made this claim based on some rough guesses off the top of my head. It's one of those claims that sounds outrageous (not everyone believed me) but is actually a pretty safe guess. But then I got to thinking: How much bigger is it? How much space would you need to store every game made on or before 1992? Note that we're limiting ourselves to commercial games. We're not going to try and count up abandoned, homebrew, or free titles, because numbers on that sort of thing are too difficult to come by. Let's just stick to released games. Also, while I didn't make it clear in my tweet, I wasn't really thinking of arcade games when I said this. Commercial video games were created in 1972 with the release of Pong. (I was a year old, if you're curious.) That first decade of gaming is mostly remembered as the age of coin-op arcade games. That's not entirely accurate, since there were home gaming consoles during the same time period. The Atari 2600 came out in 1977, for example, and several other now-forgotten platforms beat them to market. But arcade games were certainly the most visible and culturally relevant aspect of gaming. Barely anyone remembers the Magnavox Odyssey, but everyone has heard of Space Invaders. 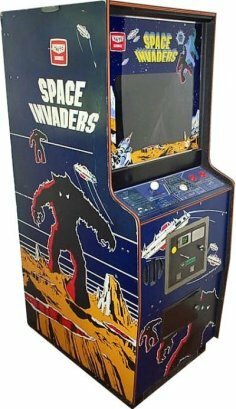 By the late 70's there was a Space Invaders or an Asteroids tucked in the corner of just about every bar and Pizza joint in America. Not everyone played, but everyone knew games existed by that point. But coin-op arcade games don't belong to a "platform" because each machine is built specifically for the game in question. You can argue that they should still count in the list of "all games ever made". That's completely fair. But I have no idea how you'd go about enumerating and measuring them. So for the purposes of Getting On With It Already we're going to set them aside. As you'll see later, it won't matter all that much once we really start counting. The Atari 2600 is our go-to system here. It was the market king by far and it's easy to get useful numbers for it. While some people haggle over the total number of Atari 2600 titles (numbers range from 250 to 550+) I think this tally of 469 is the most reliable and useful. And we know that the typical Atari game was just 4KB. (For the record, 4,000 bytes is about one-third the size of this article, assuming one byte per character. Which means an Atari cartridge couldn't even hold the raw text of this column. Those early games were small!) Technically, the games could be larger than that. Those crazy indie guys at Activision (history is strange, isn't it?) found a way to access 16KB of data by doing some fancy switching of memory banks. But I looked at a lot of ROMS - even late-period ROMS by Activision - and they pretty reliably came in at 4KB. I'm going to assume the 16KB games were rare. Also, I seriously doubt the early games used all of their available 4KB. So let's call it a wash.
469 games times 4KB equals 1,876KB. Which means the entire library of Atari games weighs in at under two megabytes. Maybe that sounds small, but the Atari catalog was huge by the standards of the day. For comparison, the Odyssey had just 27 titles. If we want to be generous, we can assume that all of the competing first-and-second generation consoles might be able to combine and equal the size of the Atari catalog. So, let's continue rounding up and say another couple of megabytes. Which means that all of the games for all of the of the pre-NES consoles add up to just 4,000KB, which is 0.01% of the size of Wolfenstein: The New Order.